Yabu House of Katsu: Join the Katsu Craze and win an iPhone 5! Hey guys!! Want to win an iPhone 5? Yabu, our favorite katsu house is giving away the much coveted iPhone 5 to one worthy fan. 2)Take a photo of your katsu or a photo of you and your friends/family with your favorite katsu. 4)Add a creative caption in the thought balloon. Crazy thoughts are welcome. 5)Save to Device and click on SHARE ON www.yabu.ph. Encode email address and caption. 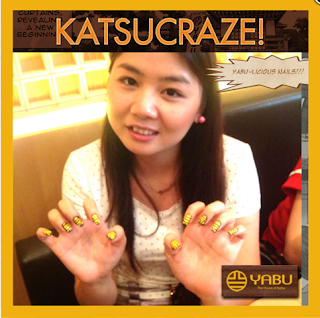 6)Share on your Instagram or Twitter with the caption " it`s the #katsucraze @yabuph! I want a #yabuiPhone5".